OMG EXTREME CHALLENGE – A HUGE SUCCESS! Congratulations to everyone for your participation and achievement! This is an annual event for all Master Guides and Master Guide Trainees. 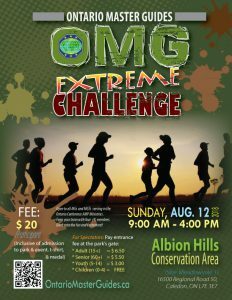 So hoping to see you on Sept. 15 2019 for the next OMG Extreme Challenge! More details to follow. 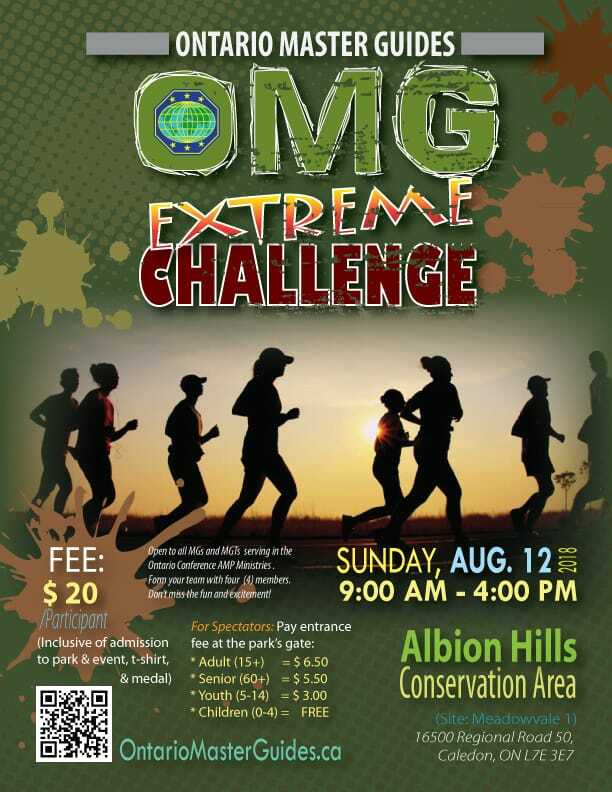 For the first time in the history of the Ontario Conference Master Guide Ministry, we will be holding the OMG Extreme Challenge to be held on Sunday, August 12, 2018 at 9:00 am at Albion Hills Conservation Area (Site: Meadowvale 1), 16500 Regional Road 50, Caledon, ON L7E 3E7. So gear up for this exciting and adrenaline‐pumping event by conditioning your body and staying physically fit. Prepare to complete a 5‐k run/walk with 10+ obstacles or challenges along the trail. 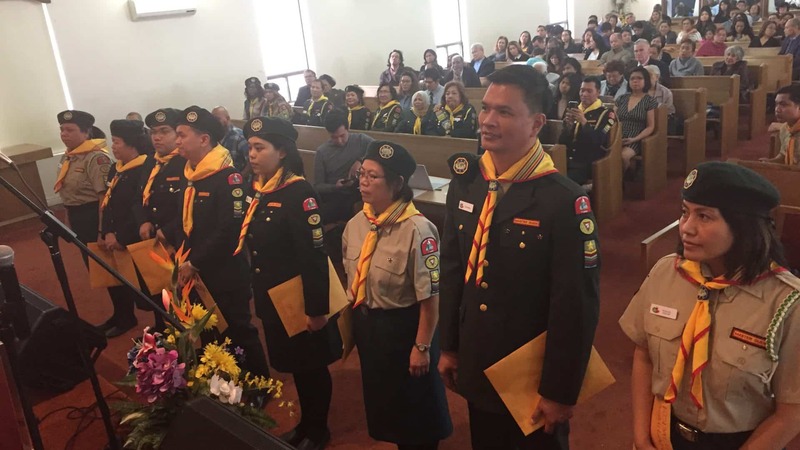 All Master Guides (MGs) and Master Guide Trainees serving in the Adventurer, Masterguide, and Pathfinder (AMP) Ministries of the Ontario Conference are eligible to sign up and participate. [ ] MG – B (Ages 36 and older) – for MGs 65 and older, you will be required to present a doctor’s note and waiver). $20/participant. This is inclusive of admission to park and event, finisher’s t‐shirt and medal. 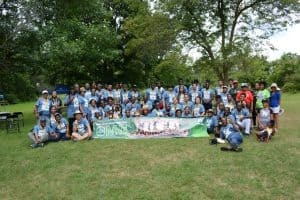 Register your team no later than July 19, 2018. A week before the event, you will receive your admission ticket via email. Print it out and present it at the gate to enter Albion Hills.